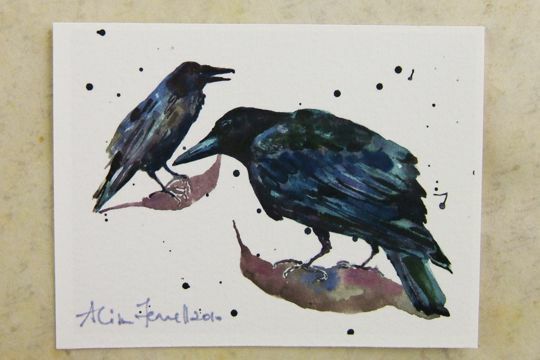 Plush in their iridescent blue and black finery these two old boys greet each other with a bow and a caw! These are standard ATCs (2-1/2 by 3-5/8 inches), printed with archival ink on archival fine art paper. At first glance, the image appears to be an original watercolor! The artist has signed each one of these individually and, of course, we must keep one for ourselves.